Biography Werner Seligmann was born March 30, 1930 in Osnabrueck, Germany. His father Fritz Seligmann was a violinist and conductor, who lost his position at the Osnabrueck Stadttheater in 1933. Werner Seligmann inherited a lifelong taste for music and the arts in general and became an architect, urban designer, and educator. While his father Fritz Seligmann survived a labour camp in Bielefeld and deportation to KZ Theresienstadt, his mother Charlotte perished in KZ Ravensbück in 1944 and his sister Helga died in an air raid in 1944. Werner Seligmann survived the shoah in hiding with another German family. After liberation he was reunited with his father. In 1949, he was sent to the US to live with relatives in Groton, upstate New York, a short distance from Cornell University in Ithaca. Seligmann received his B. Arch. degree from Cornell in 1955 and went on to do graduate study at the Technische Hochsschule in Braunschweig, Germany in 1958-59. From there he returned to the US and taught as an Instructor at the University of Texas at Austin from 1956-58. It was there that he became part of a small group of faculty that was later nicknamed "The Texas Rangers", a group that included Colin Rowe, John Shaw, Robert Slutzky and John Hejduk. After this group was dismissed from Austin Seligmann returned to Europe, where he taught as an Assistant at the Eidgenossiche Technische Hochschule (the ETH), in Zurich, Switzerland from 1959-61. From 1961-74, he was an Associate Professor of Architecture at Cornell and an Associate Professor of Architecture at Harvard University. From 1976-1990 he was Dean and Professor of Architecture at Syracuse University. He was subsequently made Distinguished Professor of Architecture at Syracuse University. From 1990 to 1994 he was a Professor of Architecture at the ETH in Zurich. In 1998 he was awarded The Topaz Award in Architectural Education jointly from the ACSA and the AIA, their highest award for an architectural educator. Selgmann was named a Fellow of the American Academy in Rome (FAAR) in 1981. In 1994 he was Thomas Jefferson Visiting Professor at the University of Virginia, and held many visiting appointments in the US and abroad, including the ETH in Zurich, Kanto Gakuin University in Japan, Yale University, Harvard University, and Cornell University. 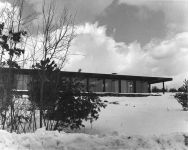 In addition to serving as visiting critic, Seligmann wrote and lectured extensively on the works of Frank Lloyd Wright, Le Corbusier, and other architects and issues. Throughout his teaching career he maintained a practice and entered many competitions, including the invited competition, “Topography of Terror”, for Berlin, Germany in 1993. His firm, Werner Seligmann and Associates, Architects and Urban Designers, was based in Cortland, New York. Launched in 1961, the firm placed in national and international competitions and work of the firm was exhibited often both in the US and abroad. The architectural work of Werner Seligmann won two Progressive Architecture Design Awards, was illustrated on the cover of PA three times and was placed, or won, several national and international design competitions. Seligmann's work on developing housing prototypes for the New York State Urban Development Corporation in the 1970s and 1980s established his reputation in the area of housing. The Ithaca Scattered Site Housing Project (now known as Elm Street and Maple Ave) were widely exhibited and published and are included in the permanent collection of the Museum of Modern Art (MOMA) in New York. 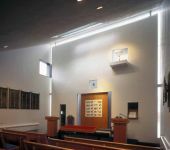 Beth David Synagogue in Binghamton NY (1963) was often seen as a significant synthesis of Wright and Le Corbusier although derived from a Corbusian precedent. Seligmann also published numerous articles on the work of Frank Lloyd Wright, Le Corbusier, and modern architecture in general. Werner Seligmann was married to Jean Liberman in 1954 and their children Rafael and Sabina were born in 1960 and 1969. Werner Seligmann died in 1998 in Syracuse, New York. - 1997 "The Work of Le Corbusier as Lessons for the Student of Architecture." Paper to be included in a publication of the Harvard Le Corbusier Rencontre. - 1997 "Le Corbusier - The Four Compositions." Festschrift for Prof. Eduard Sekler - Harvard University. - 1995 Contribution to The Texas Rangers. Alexander Caragonne. The M.I.T. Press. - 1990 Seligmann, Werner. "The Evolution of the Prairie House." Article in Frank Lloyd Wright, A Primer on Architectural Principles. Ed. Robert McCarter. New York: Princeton Architectural Press, 1990. - 1989 "The Texas Years and the Beginning at the E.T.H. 1956-61. "Article in Architektur Lehren. Zürich: G.T.A. - 1987 Seligmann, Werner. "Le Corbusier As Architectural Engineer," Architectural Record. October 1987, pp. 142.151. - 1987 Seligmann, Werner, "The Poetics of Counterpoint." Article in catalog Mario Campi, Franco Pessina, Architects. New York: Rizzoli International Publications, 1987. - 1986 Seligmann, Werner. "Swiss Precision," House and Garden. October 1986, pp. 180-187. [Boni House by Mario Camp]. - 1986 "Schirn am Romerberg Frankfurt am Main." Lead article for a catalog published for the opening of the new cultural center in Frankfurt, Germany. - 1985 "The Role of Design in the Profitable Architectural Office." Keynote Address. The A.I.A. Press. - 1982 Seligmann, Werner. "Campi Pessina Piazzoli (Critique)," Progressive Architecture. July 1982, pp. 70-71. - 1979 Documentation of Buildings by Le Corbusier. Oppositions15/16. - 1978 U.D.C. Housing, Ithaca, New York published in catalog of Kajima Institute. - 1976-77 "Runcorn Historical Precedent and Rationale Design Process." Article in collaboration with Anthony Vidler. Oppositions. - 1974 Seligmann, Werner. "Assessing Broadway East (Appraisal )," Progressive Architecture. October 1974, pp. 62-67. Werner Seligmann teaching freshman in Slocum Hall rotunda at Syracuse University in the late 1970s. Profile plans of Slocum are visible on the wall.